Expert Pelvic Floor Physiotherapist guide helps you exercise safely with prolapse problems. Prolapse Exercises is suited to women with prolapse or after prolapse surgery. Available in this hardcopy version or immediate download version. Prolapse Exercises is a must-read for all women seeking to exercise safely with prolapse and after prolapse surgery. 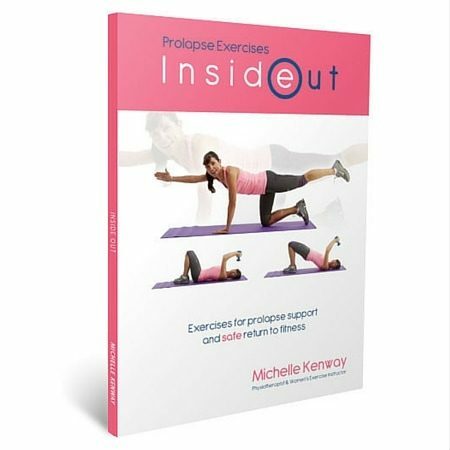 Prolapse Exercises is Book 2 in the internationally acclaimed Inside Out exercise women’s series by Australian Pelvic Floor Physiotherapist Michelle Kenway. Prolapse Exercises books and DVDs are available free postage for customers in UK and Europe from Stress no More, our UK distributor. Inside Out the first book in this series was a key resource for the Australian Continence Foundations’ National Exercise and the Pelvic Floor Project. Inside Out series provides health professional guidance for safe fitness and strength exercises to avoid pelvic floor injury and reduce the risk of worsening pelvic floor problems. 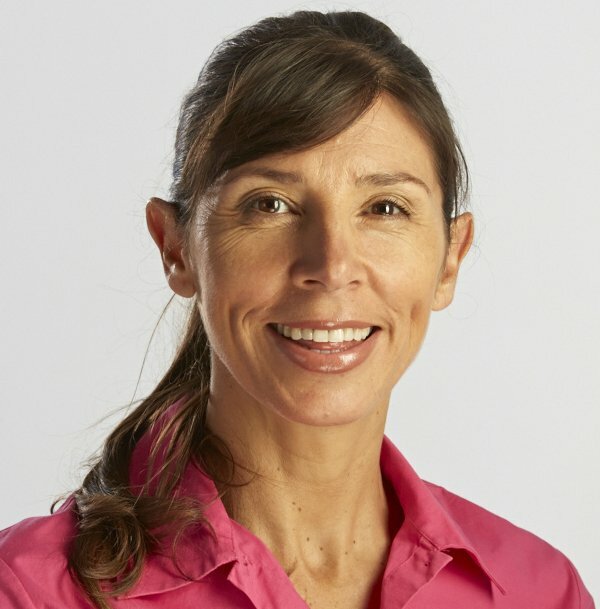 Michelle Kenway is an Australian Pelvic Floor Physiotherapist and author. Michelle lectures to health professionals and promotes community health through her writing, radio segments, online exercise videos and community presentations. She holds dual post graduate physiotherapy qualifications in women’s health and exercise. Thank you so much for your book “inside Out”. I discovered I had a bladder prolapse late last year but had difficulty finding a physiotherapist who taught pelvic floor exercises. I had prolapse surgery earlier this year. I found your book and video extremely useful both before and after my operation. Very many thanks. Thank you for your Prolapse Exercises book. I found it very well written and easy to follow and am already putting in to practice the recommendations in the book. The book was recommended to me by my physiotherapist. Thanks again for your help and for producing this book. My doctor referred me to your website to get your Prolapse Exercises book and DVD. I am so glad to have found your sensible and easy to follow routine. Thanks to your DVD I have been able to exercise without awful prolapse symptoms and I am so grateful for your work. I wanted to write and say thank you so much for your wonderful book. After having a prolapse with the birth of my first baby your book which gave me the confidence to hit the gym again and exercise safely, confident that what I was doing was helping rather than harming me. It has been six months and my surgeon has just assessed me and said that my pelvic floor had “improved” post-surgery thanks to the wonderful exercises in your book. I hope many other woman discover this valuable Inside Out showed me a way to manage my pelvic floor issues without letting them take over my life and now I’m happier than ever, having found a way to keep it all in perspective and realize that pelvic floor dysfunction can be managed, just like any other muscle injury – with the right care and exercise.